At last! A fresh new matchup in the Tag Divison! Mick Foley and Stephanie McMahon In The Ring. Mick Foley reluctantly introduces Samoa Joe as "the hottest free agent signing of the New Era." Joe comes out in a suit and hugs Stephanie McMahon, she introduces him with the same words, only you know, like Stephanie McMahon. Foley is like, can we get on with it? Steph emasculates him, Foley says he's been a big fan of Joe for years, but he says he didn't like how Joe made his debut last week. Joe says he's been trying to get to a WWE ring for 18 years, and only one guy helped him make that happen, Triple H, and if all he had to do was put Seth Rollins on the shelf, then that's cool. He also puts the entire locker room on notice, and Roman Reigns comes out. He says it's his yard and Joe has two choices, either he can shut his mouth, or Roman will "cave it in." They have a staredown, Mick Foley is like "I'm important, too!" 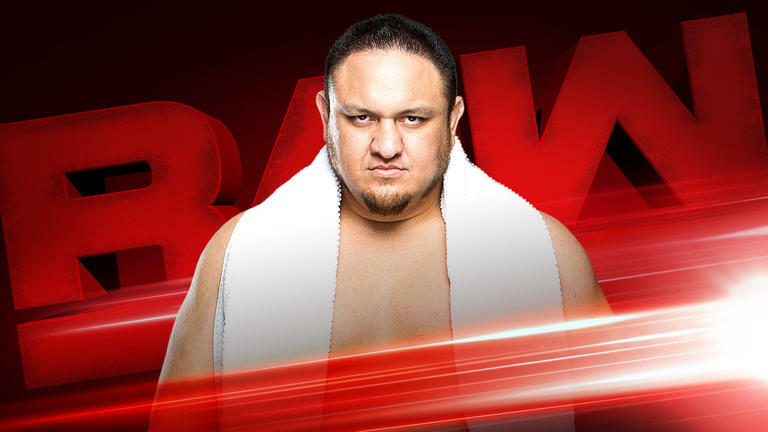 and he makes a match for tonight, Roman Reigns vs Samoa Joe. Well that was quick. 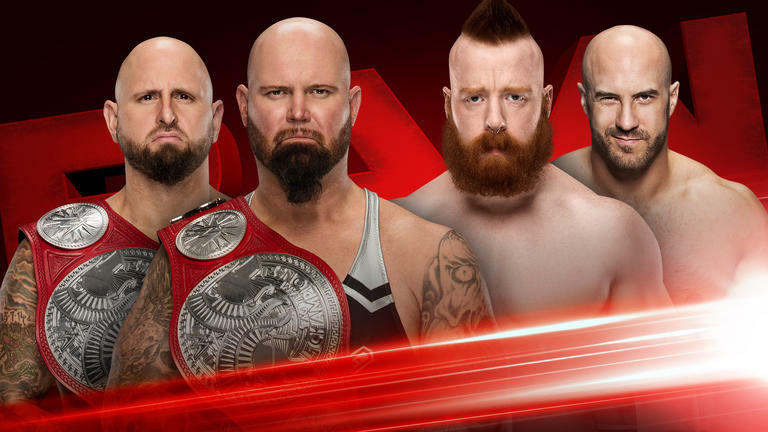 Pulling that card out of the deck on Joe's first official night in the company is a rash decision, but we'll have to see how that pans out. They announce Bayley gets a Championship match against Charlotte next week on Raw. Nia running through Bayley to start, throwing her all over the ring, kicking her while she's down. Bayley mounts a comeback for about two and a half seconds, before Nia throws her nose first into the second turnbuckle. Nia still in control until Bayley dodges her in the cornner, and follows up with a lot of elbows. Action spills to the outside, Nia runs into the post (twice!) and the Ref begins to count her out. Charlotte runs down to the ring, attempts to interfere but Bayley cuts her off at the pass. However, as Bayley is distracted by Charlotte, she turns around and walks right into a Samoan Drop. Charlotte gets in the ring and stands tall as Nia backs up the ramp to end the segment. One guy lasts about a minute before he just runs away. Braun destroys the rest, hits the Running Powerslam on one and stacks the other two on top of him. He pins all three of them. After the match, he gets on the mic says "Foley, you call this competition? I warned you and now I'm coming to the back to find you." Because I just traveled through time and it is 3 months ago. But actually, once he finds Foley, Foley is like, how about a match with Roman Reigns, one on one, at FastLane? Braun is pleased by this. The way the cruiserweights are booked and agented and used and marketed makes me so sad. Tozawa should be a huge international star. Instead, the crowd literally gives no shits. He does hit an AMAZING Suicide Dive Headbutt, though, followed by a Shining Wizard followed by a PRISTINE Snap Bridging German Suplex. I love Akira Tozawa. And I want you to love him too. After the match, Brian Kendrick comes out for some reason to shake Tozawa's hand. No sucker punch, no sneak attack. Nothing.